Lublin Lions won GMC Poland 2016! Team Lubelskie Lwy (Lublin Lions) representing Maria Curie-Skłodowska University, Faculty of Economics won Global Management Challenge Poland 2016! 320 teams participated in the 17th edition of the competition. Avon was the strategic Partner of the project. After a thrilling competition in the first two stages on-line only 8 teams got to the finals, which took place on March 6 at the AVON's office. Among the finalists were 2 company and 6 student teams, including 2 teams from Maria Curie-Skłodowska University, Faculty of Economics: Lubelskie Lwy (Lublin Lions) and Best Company. The results were announced on March 7 during a ceremony at the Warsaw Stock Exchange. The awards ceremony was preceded by a debate 'Young talents - a challenge for recruitment but also an opportunity for innovation for business'. Following the debate, began the ceremony of announcing the results. Diplomas and prizes for the finalists handed: Honorary Chairman of the GMC Poland Competition Jury – Wiesław Rozłucki PhD, Market Development Managing Director at Warsaw Stock Exchange – Bartosz Świdziński, Amazon Regional Senior HR Manager – Marta Dworowska, AVON HR Managing Director – Magdalena Bubeła, and Koźmiński University Spokesman – Ewa Barlik. The highest score in the final investment was reached by Lublin Lions – a team representing Maria Curie-Skłodowska University, Faculty of Economics. The team included 4 students: Arkadiusz Bernat, Łukasz Kalinowski, Marcin Podleśny, Tomasz Kowalczyk. 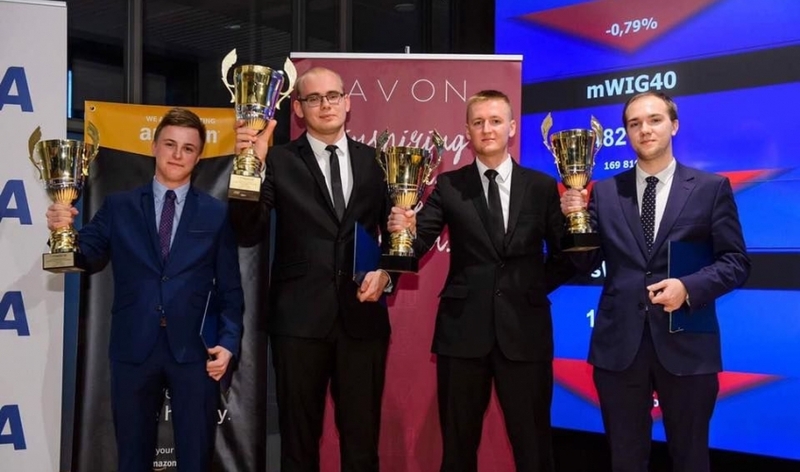 The team will represent Poland during the international finals in Qatar in April and received an postgraduate studies at Kozminski University. Best Company (Łukasz Gałan, Wojciech Gąska, Ewelina Nawrocka), also representing Maria Curie-Skłodowska University, Faculty of Economics, finished fourth.